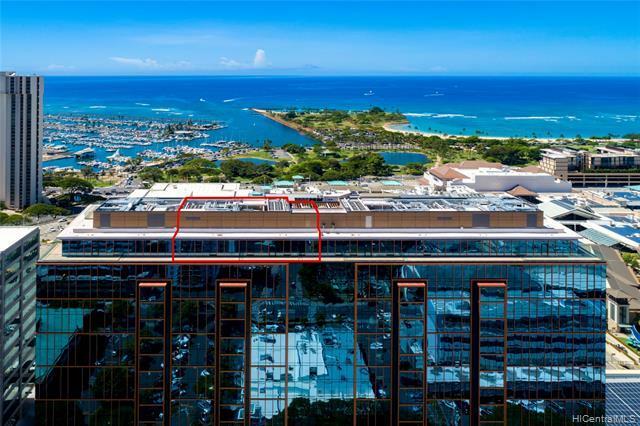 Ultra-Luxe Grand Penthouse prestige in renowned ONE Ala Moana. This captivating top-floor luxury destination features a 3 bedroom plus den, 3.5 bath floor plan spanning 3,669 sq.ft. of indoor living space. Two grand master bedroom suites with walk-in closets, a guest bedroom, library room, & an ocean view kitchen/living/dining area captivate with soaring high ceilings & floor to ceiling glass throughout. Upstairs, a 1,935 sq.ft. 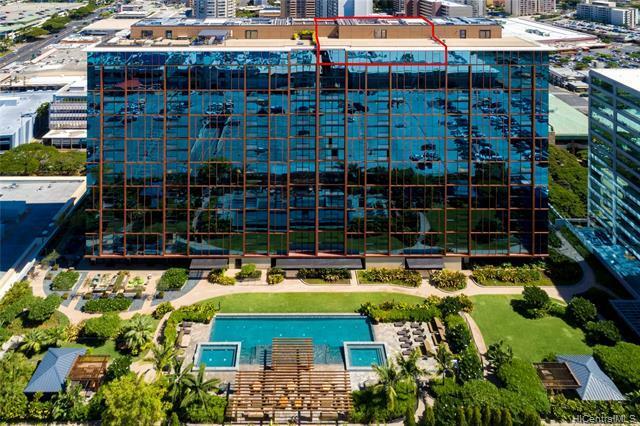 rooftop lanai overlooks Ala Moana Beach Park, Ala Wai Harbor, sandy beaches, & gentle ocean surf from the Pacific. Unmatched resort-like amenities include a golf room, spa treatment, theater room, gym, infinity-pool and jacuzzis, multiple barbecue areas, jogging paths & more. 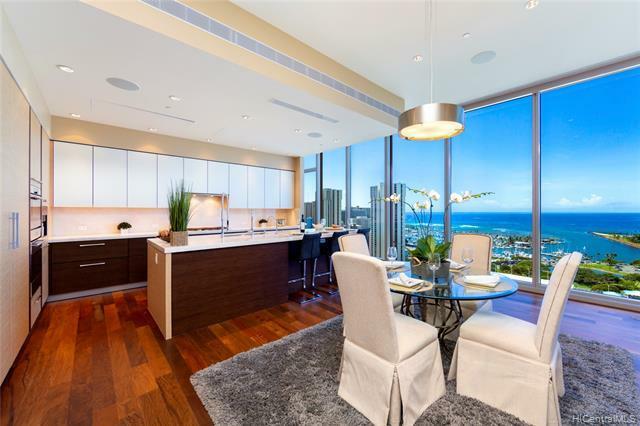 Uncompromising lifestyle in luxury, this is ONE Ala Moana Grand Penthouse #2300.